ID: 2013 ~ Source: Courtesy of Jeff Littlejohn. 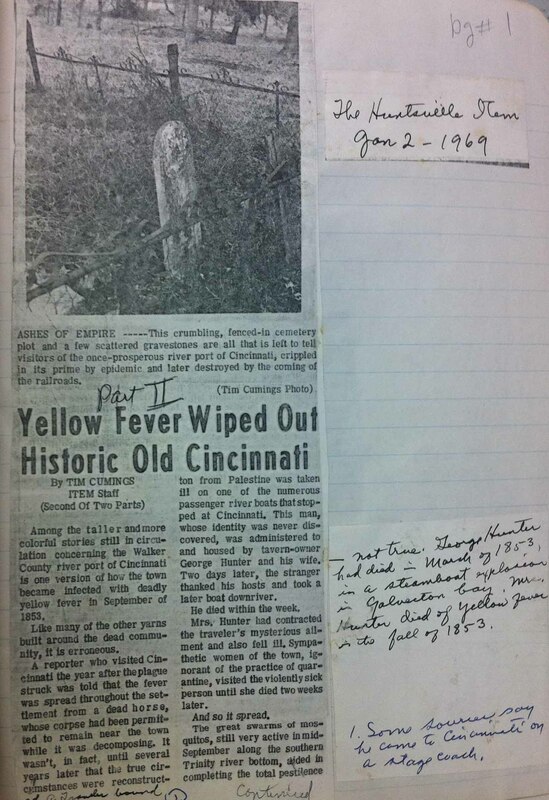 The photograph is of the same Huntsville Item article clipping by Time Cummings, but with annotations on the side, which corrected Cummings claim that George Hunter, a resident of Cincinnati and a tavern operator, had died of yellow fever in the fall of 1853. The writing stated Hunter had actually died earlier in the year, in March, in an explosion in Galveston Bay.